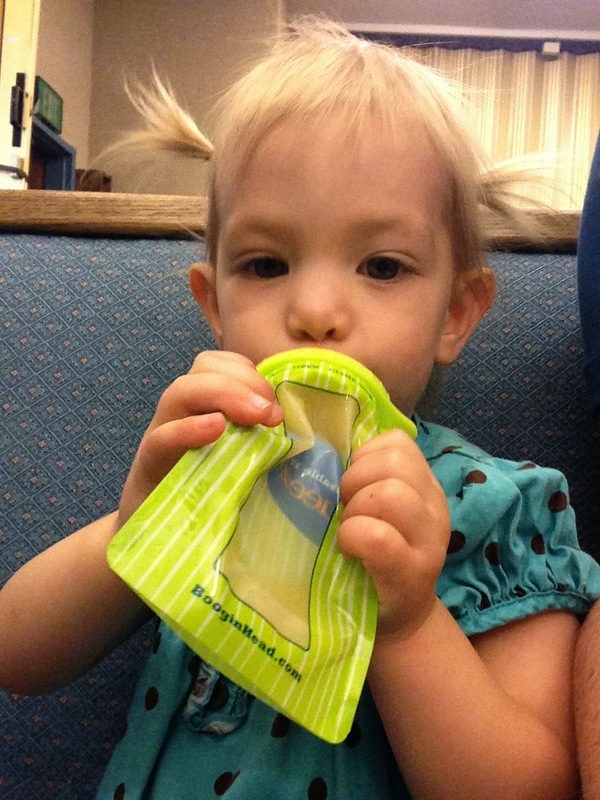 Bunny loves eating food out of squeezable pouches. I, however, do not like the prepackaged options. BooginHead Squeez’Ems allows Bunny to enjoy a squeeze pouch while I enjoy knowing exactly what is in the squeeze pouch. 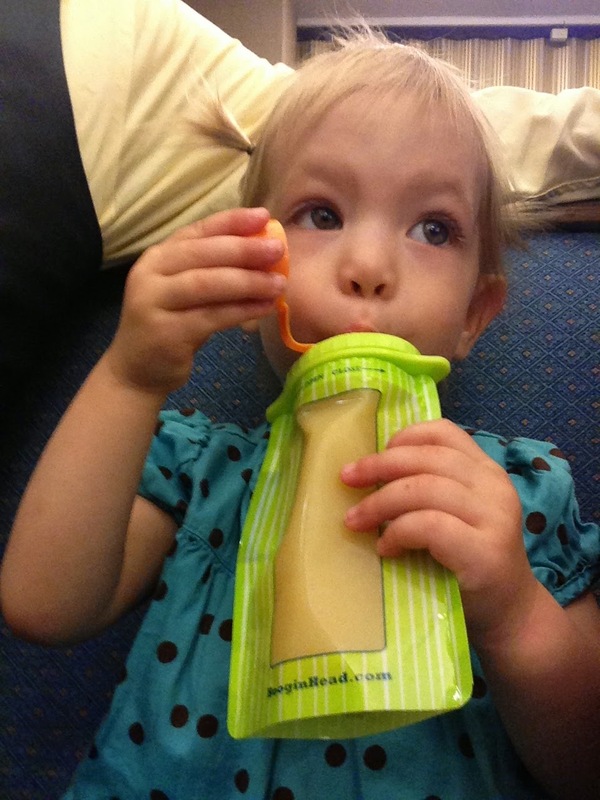 BooginHead Squeez’Ems are a reusable, BPA, PVC, and pathalate free food pouch. BooginHead Squeez’Ems are refrigerator, freezer and microwave safe. BooginHead Squeez’Ems come in two options, Screw Top Sqeeze’Ems and Zip Pouch Squeez’Ems. Bunny and I tried (and love) Screw Top Sqeez’Ems. Screw Top Sqeez’Ems come in a two pack and hold up to 6 ounces each. What I love most about Screw Top Sqeez’Ems is the screw top lid opens clockwise! 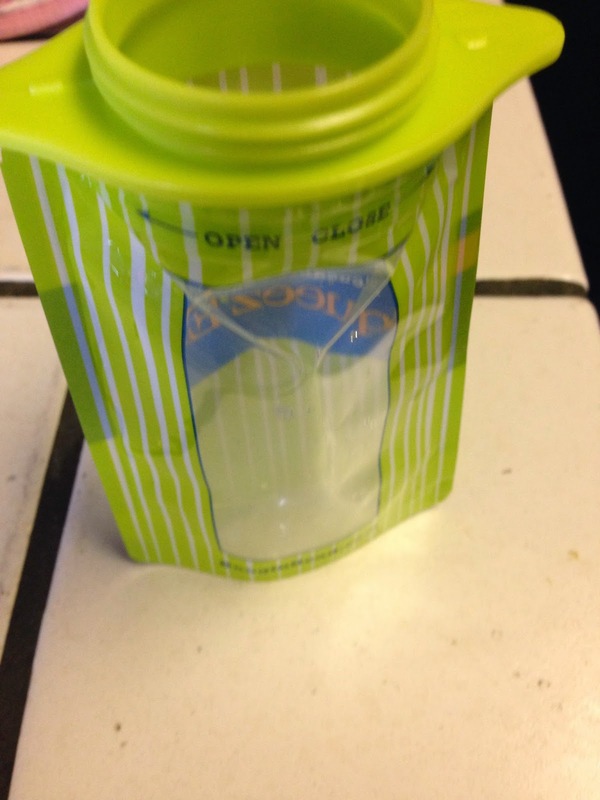 This means Bunny can not open the top! Bunny has mastered opening anything and everything with a screw top. This makes for a very happy Bunny and a VERY messy house. I love that Bunny can enjoy a delicious snack, but can NOT open her Screw Top Sqeez’Ems! 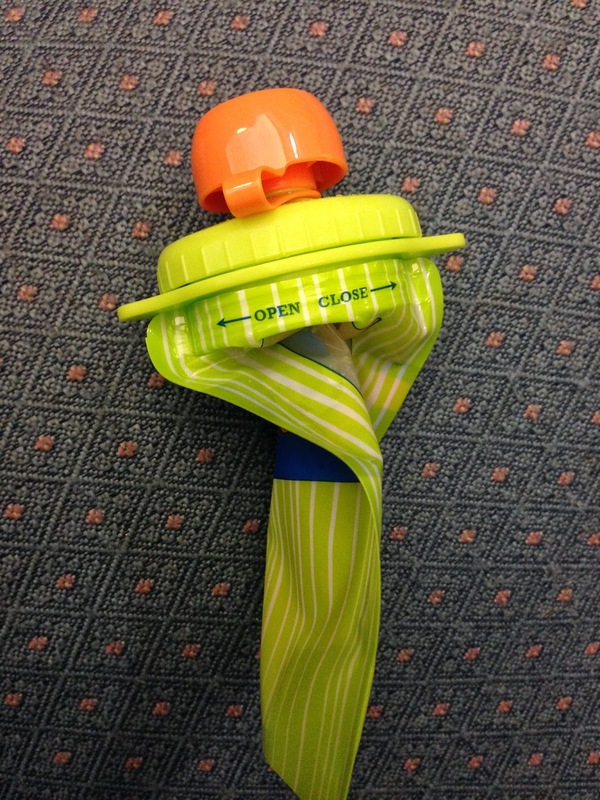 The cap is attached to the lid to eliminate lost parts. If the cap was not attached, this would be a useless item for me. Bunny would lose that cap in seconds. I love the attached cap. Screw Top Sqeez’Ems have a nice big opening for you to fill them. They also stand on their own, which allows for ease of filling. I don’t have to fumble with a spoon in one hand and Screw Top Sqeez’Ems in the other. The opening is big enough to fit a normal table spoon inside. I don’t have to put the table spoon inside, I can let the filling fall off of the spoon and into Screw Top Sqeez’Ems with no mess. This is a big plus for me. 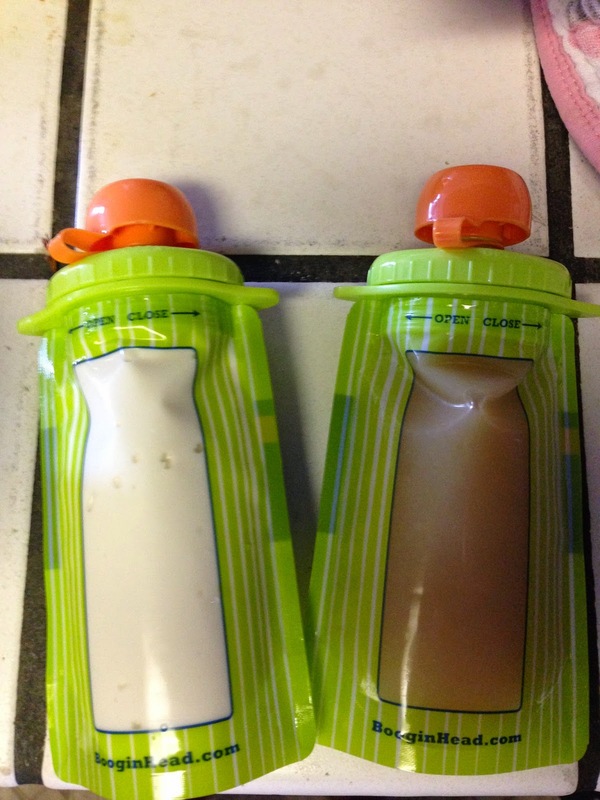 Theres nothing more annoying than having to wipe up the excess that has spilled over the edge when filling a pouch. I don’t want to waste food, and I don’t want to take the extra step to clean it up before Bunny has even used it. 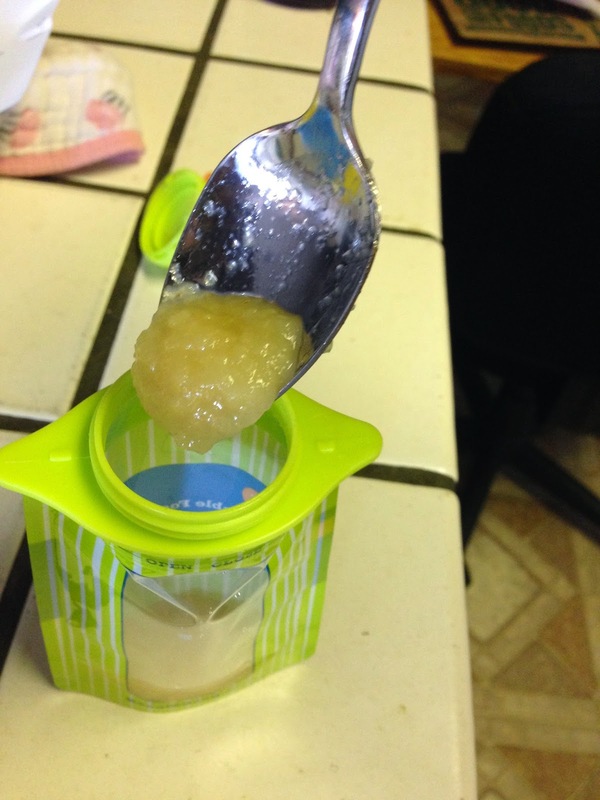 We mainly use Screw Top Sqeez’Ems for yogurt, applesauce, and smoothies. 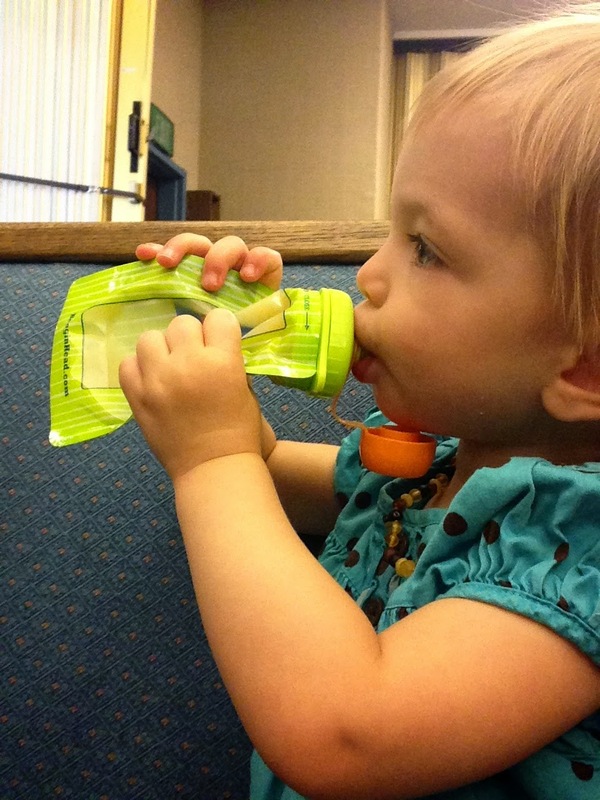 Screw Top Sqeez’Ems are a convenient way for Bunny to enjoy a healthy snack on the go. We often toss two of these in the church bag. Some days, when Bunny is particularly messy and can’t handle using a spoon, I will put her yogurt in Screw Top Sqeez’Ems while we are home. It is a nice, easy, clean way for Bunny to have a good snack. With Screw Top Sqeez’Ems Bunny can eat every last drop of food that is in the pouch. Bunny has had some difficulty getting all the food out with other brands of food pouches. 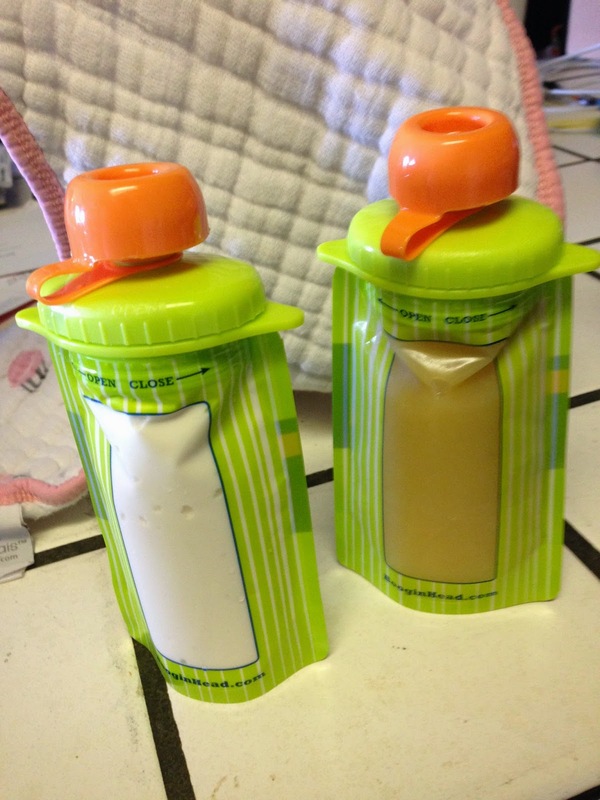 I really like that Screw Top Sqeez’Ems are easy to use and allow Bunny to eat all the food in the pouch. Bunny loves to drink smoothies but I do not like the mess she can make with a traditional cup. 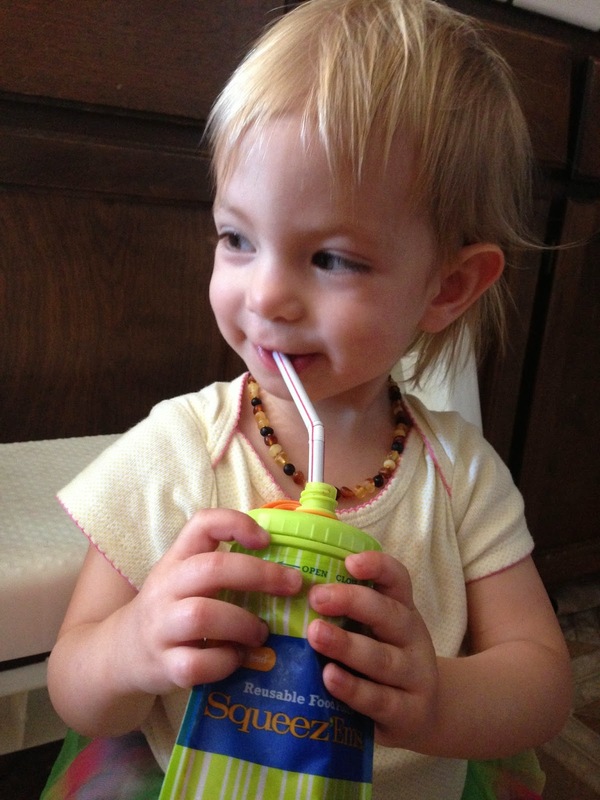 Screw Top Sqeez’Ems are perfect for Bunny’s smoothie consumption. 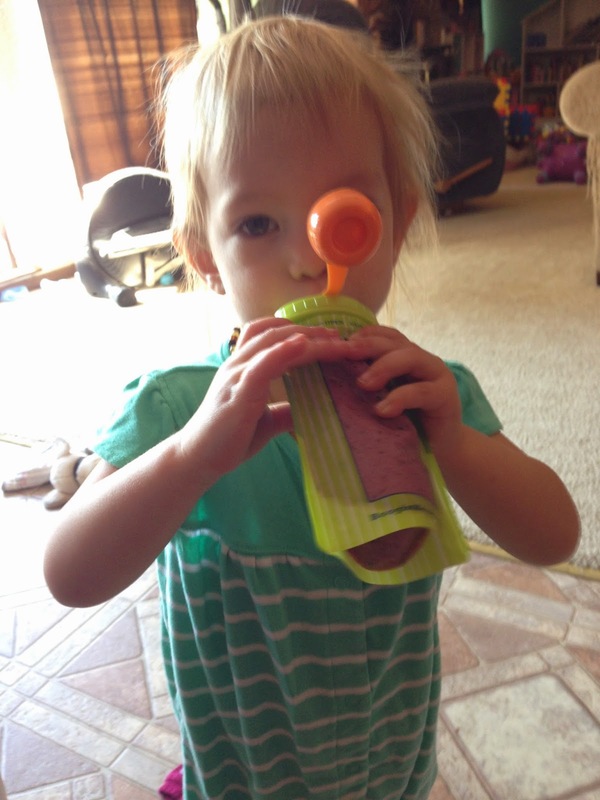 Bunny can either drink the smoothie out of the lid, or she can use a straw. Screw Top Sqeez’Ems cap opening is the perfect size for a straw! No mess smoothie! Screw Top Sqeez’Ems are super easy to clean. They are top rack dishwasher safe, or you can hand wash them. I hate to hand wash anything, but I must say Screw Top Sqeez’Ems are very easy to hand wash. I actually prefer to hand wash my Screw Top Sqeez’Ems. 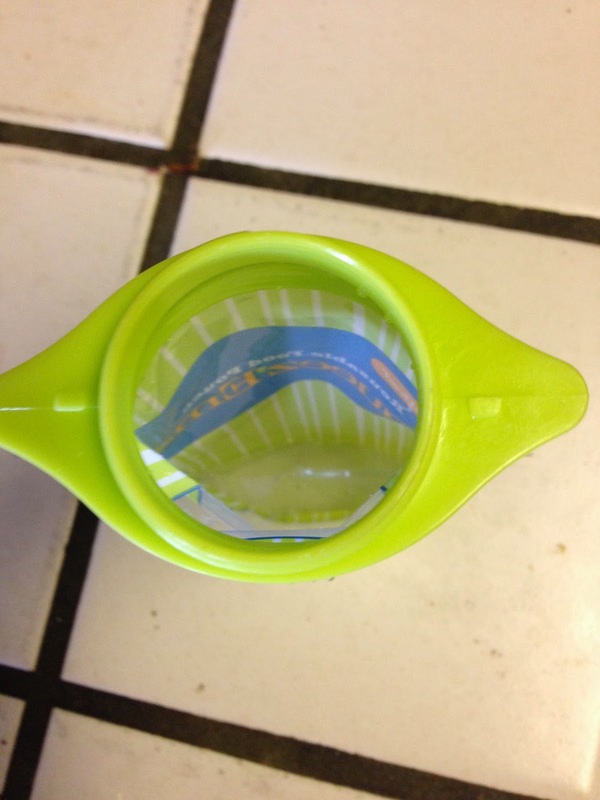 To hand wash Screw Top Sqeez’Ems, you simply fill them with warm soapy water and shake it around. You can use a bottle brush if you want to scrub them. Rinse with warm water and air dry. Easy as can be! You can buy Screw Top Sqeez’Ems online for $9.50 (if you buy them now they are on sale for $7.60!). Disclaimer: I received these items free to review. The thought and opinions expressed are my own and are in no way influenced by the product owner/company.